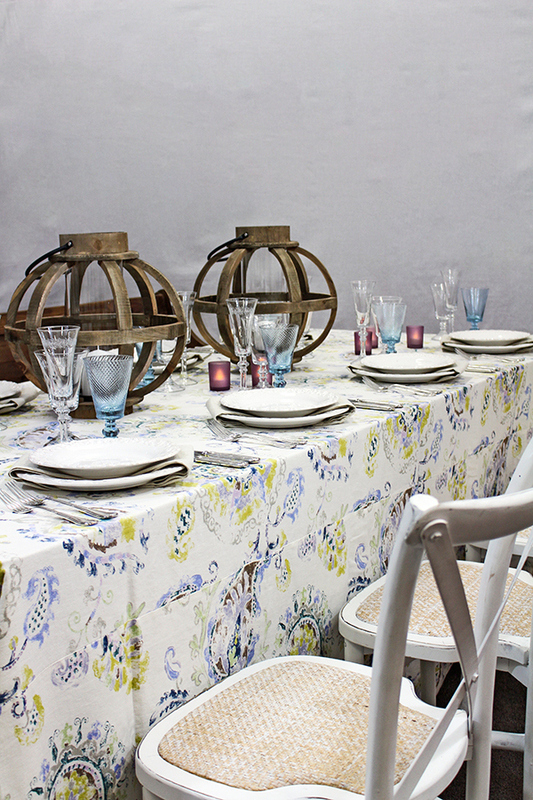 Is there anything better than getting an excuse to redecorate? 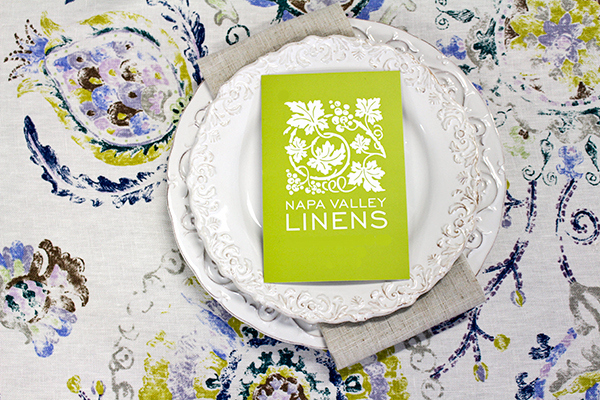 Our Emeryville showroom got a makeover for spring, with pastels and prints that are perfect for the season! 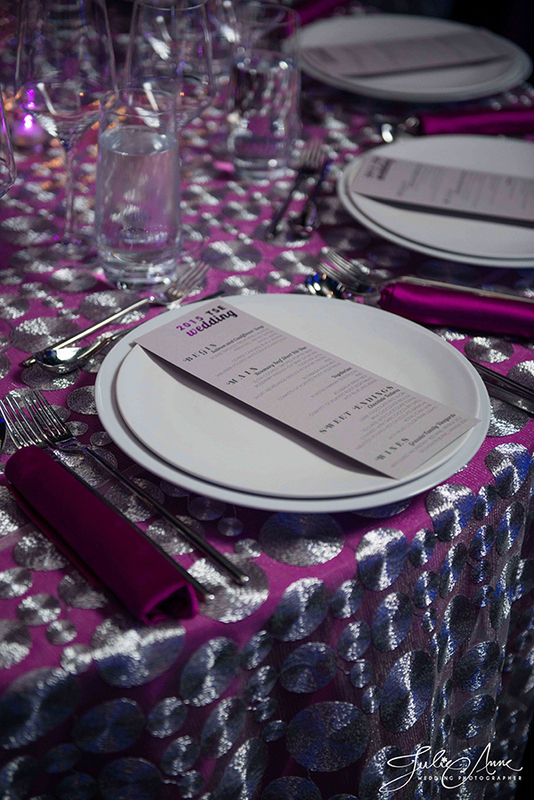 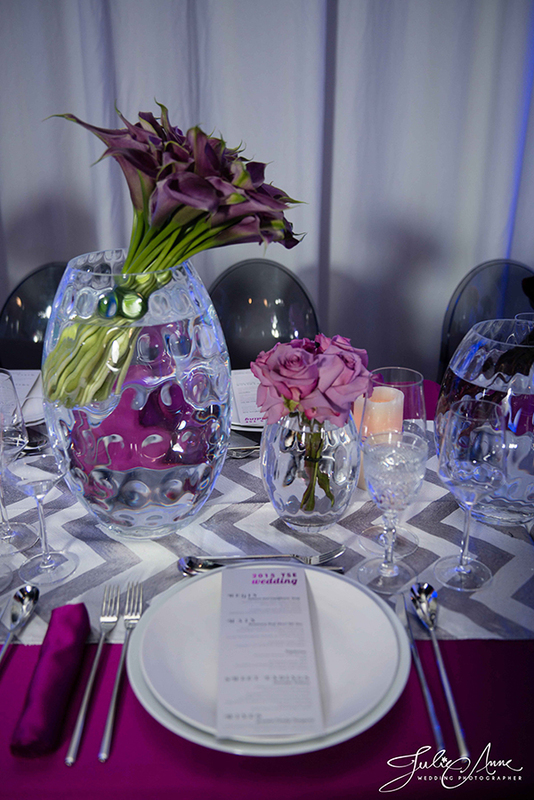 Showroom partner Bright Event Rentals provided us with some amazing tabletop details and furniture to style with some of our patterned linens on display. 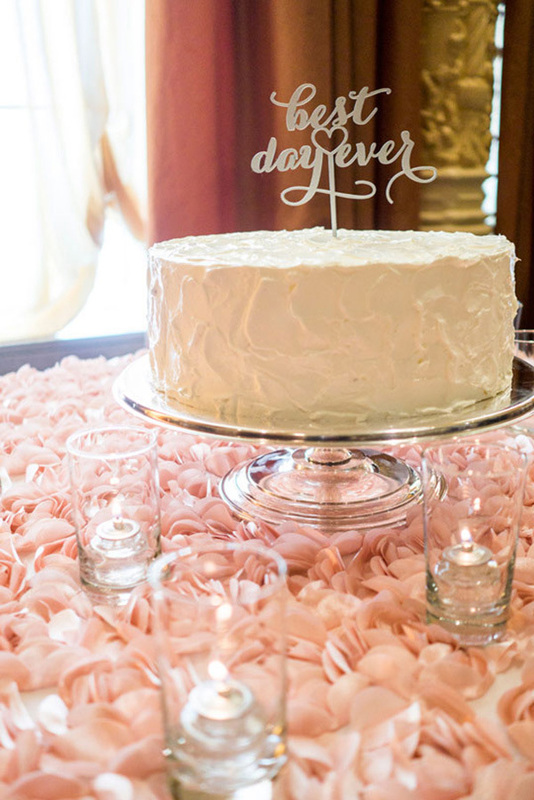 The softer pastel hues that we chose to display are perfect for spring, but that doesn’t mean that we had to go traditional for our showroom! 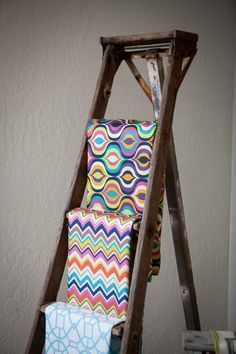 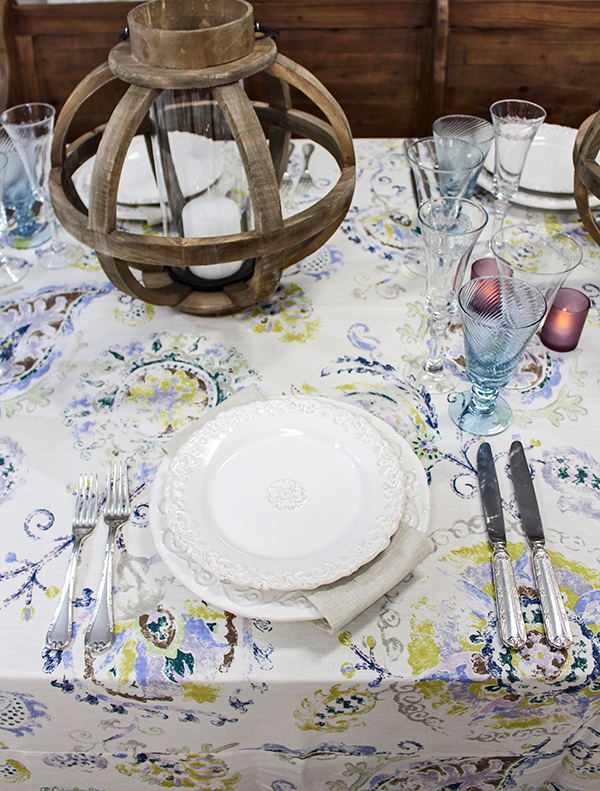 Our Anthropologie-esque Brighton Periwinkle unites a swirling, paisley-inspired print with a soft palette of pale blue, violet, and chartreuse. To create a modern, relaxed look that’s perfect for an al fresco wine country dinner, we paired the pattern with tone on tone ivory china from Bright Event Rentals and our new Hemstitch Natural Napkins. 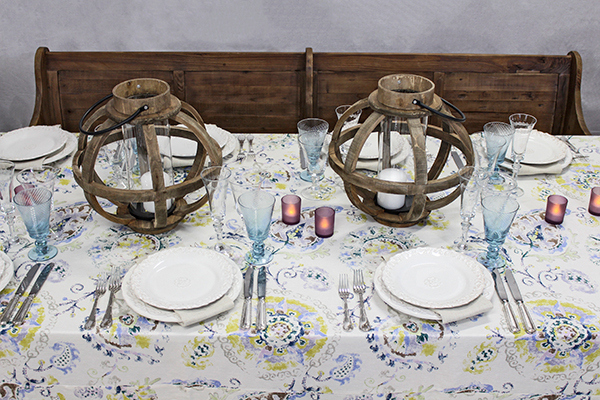 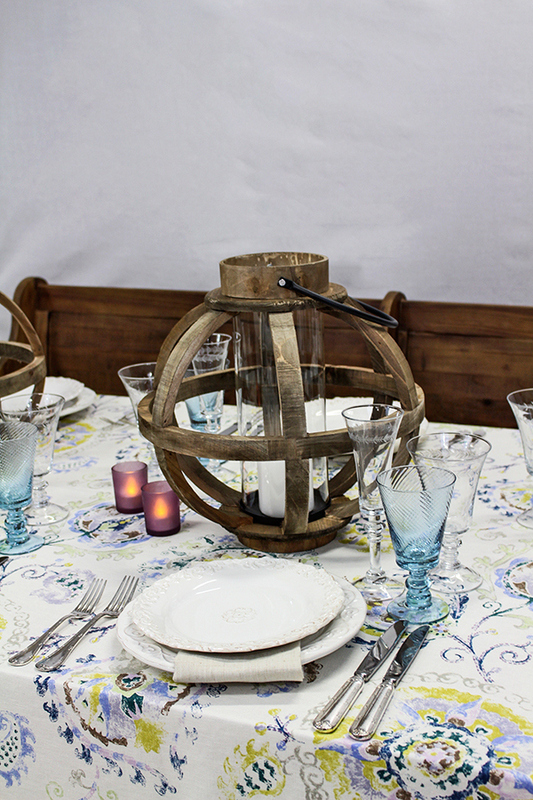 Rustic wine barrel hurricane lanterns filled in for a centerpiece, while blue glasses and frosted purple votives added colored accents that tied in with the hues in the print. 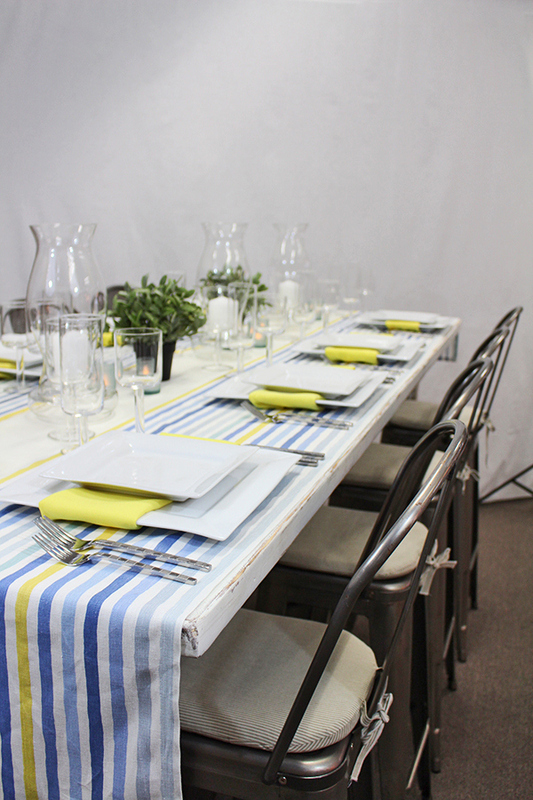 Double table runners have become one of our favorite new trends, and this modern industrial table is a perfect example. 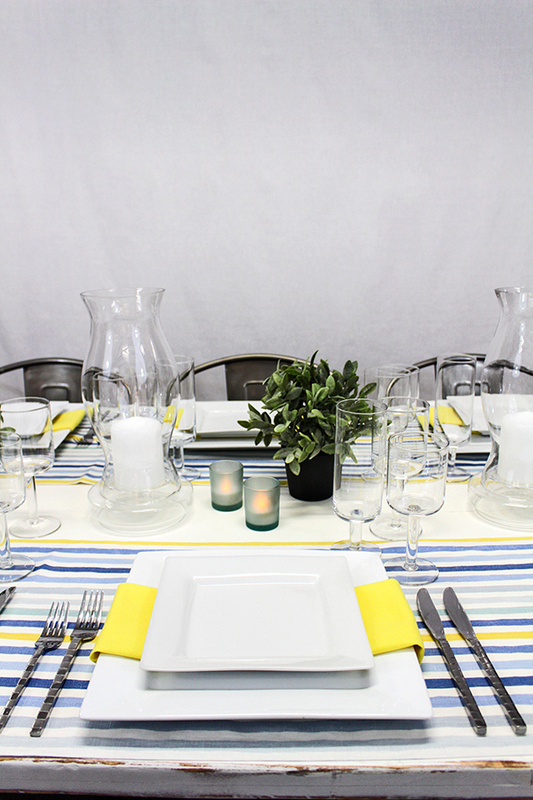 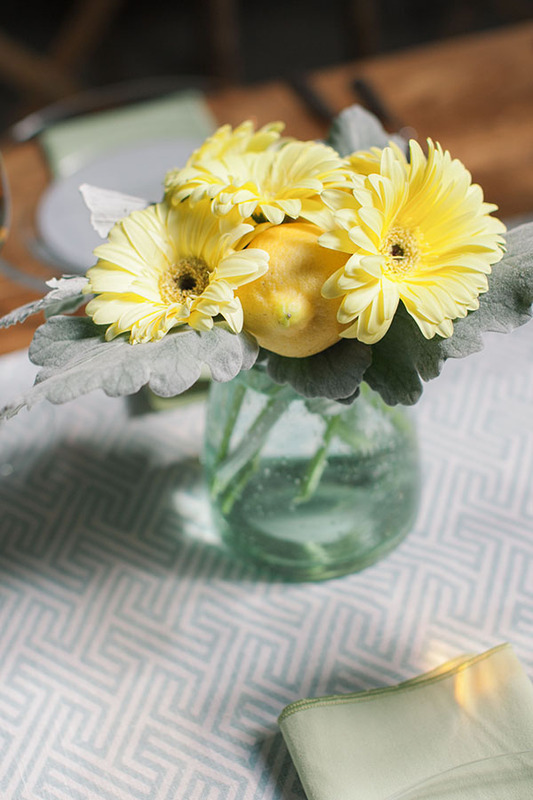 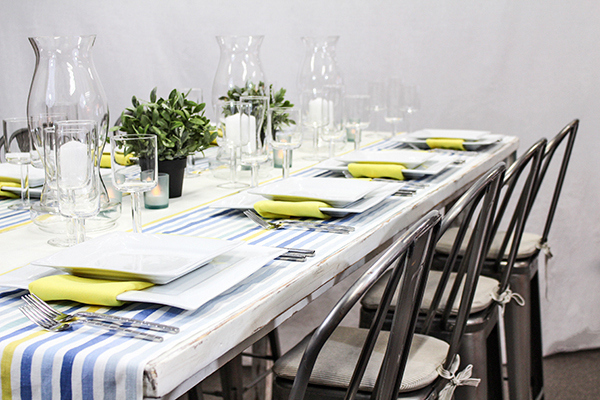 The shifting blues and yellow stripes of our Nantucket Bay runners added a bold accent to the clean lines of the table decor – modern, square place settings, hurricane lanterns, and small potted herbs for a hint of green. 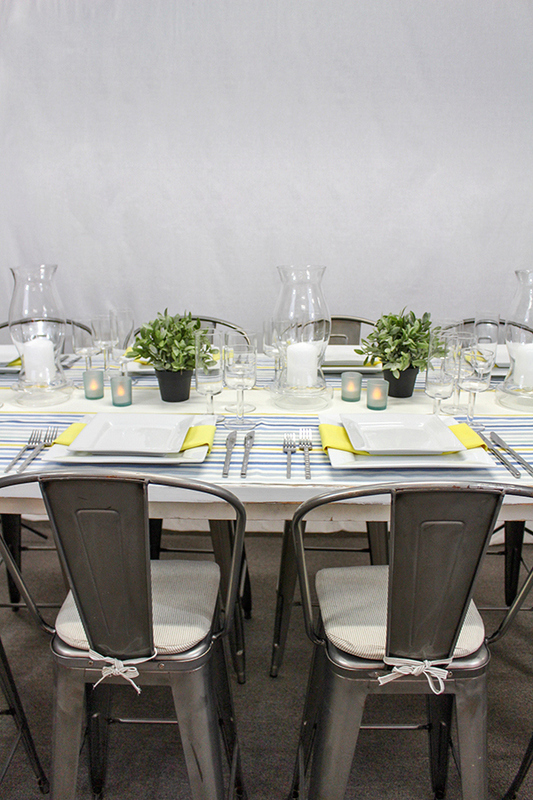 The weathered wood table and metal stools added a great, industrial edge to the look! 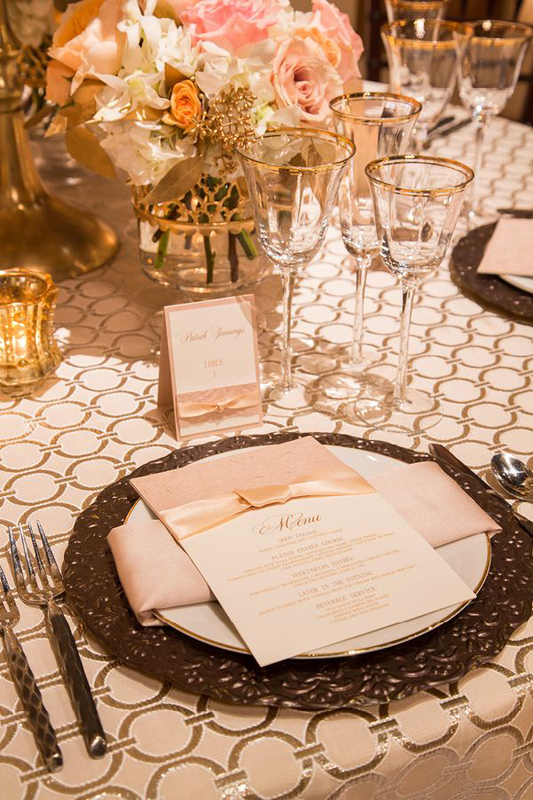 Our last table is also the most traditional – the medallion design of our Kate Wedgwood linen is a large-scale but elegant print, so clean and simple eggshell place settings were the perfect pairing. 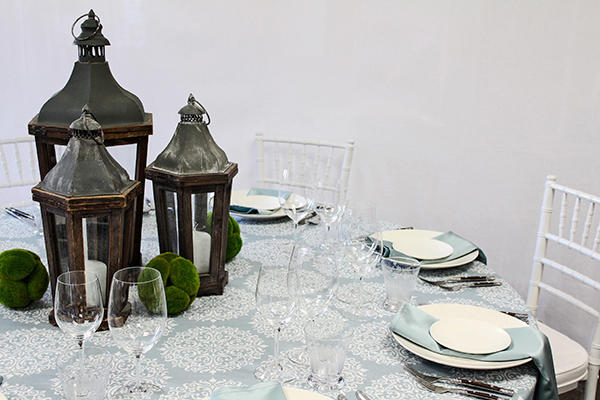 In keeping with the upscale al fresco theme of the showroom, rustic wood lanterns and moss balls added an outdoorsy touch. 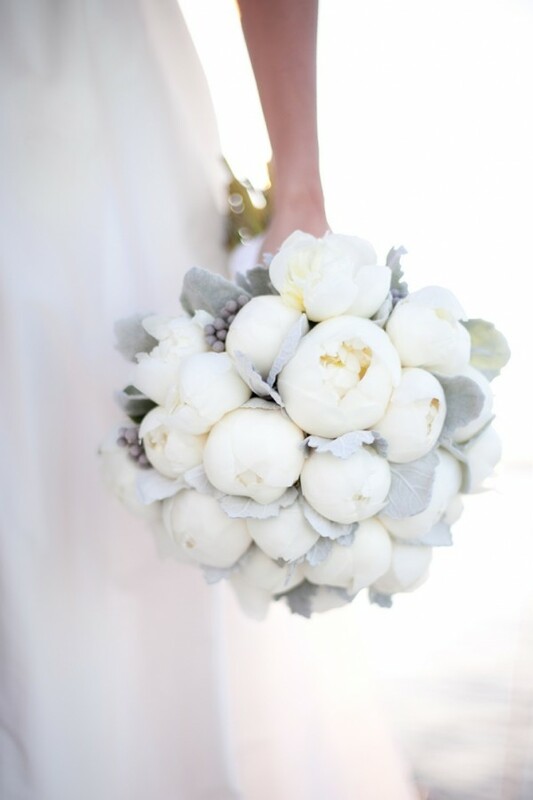 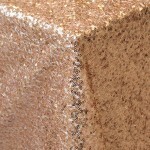 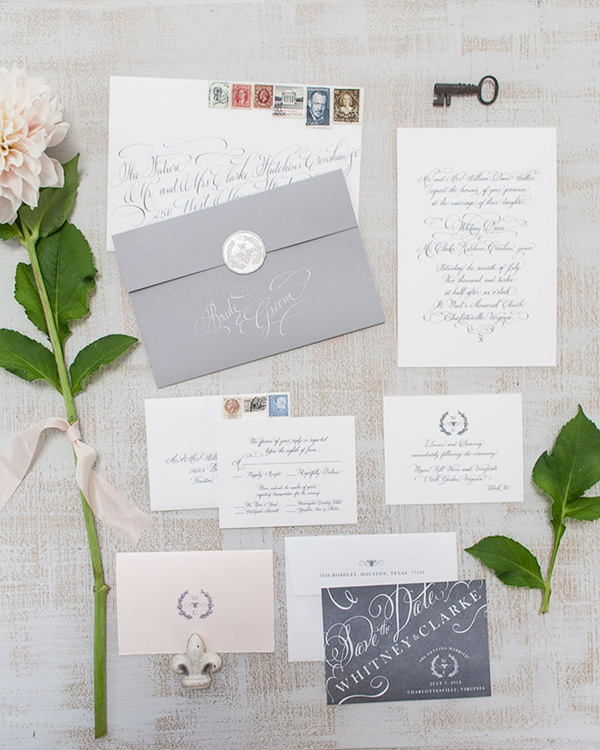 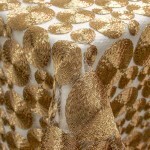 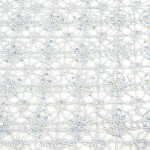 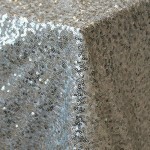 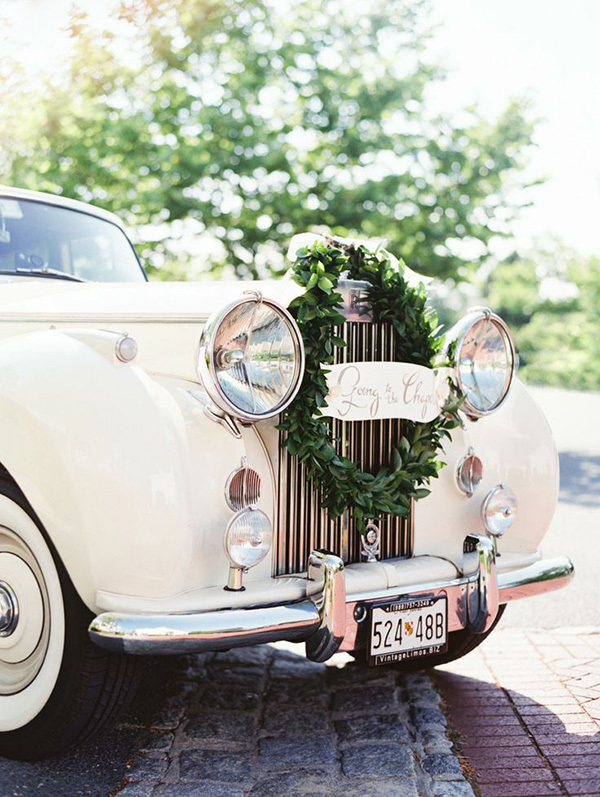 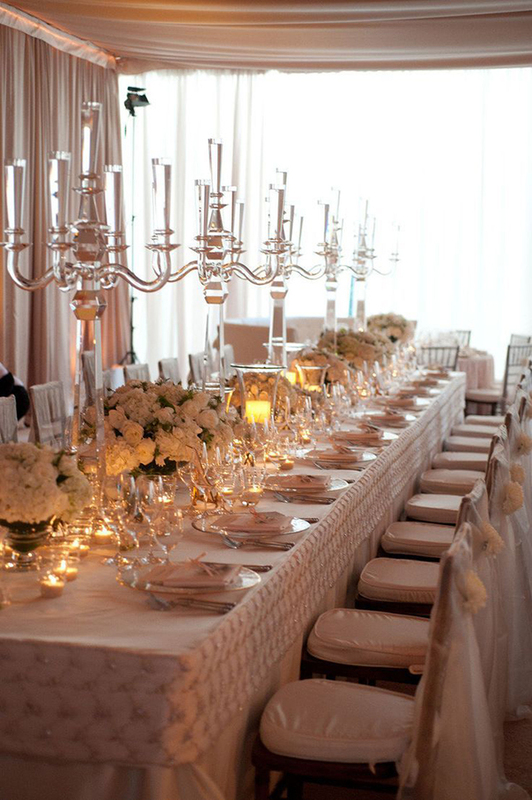 Luxury Linens for any Wedding Budget! 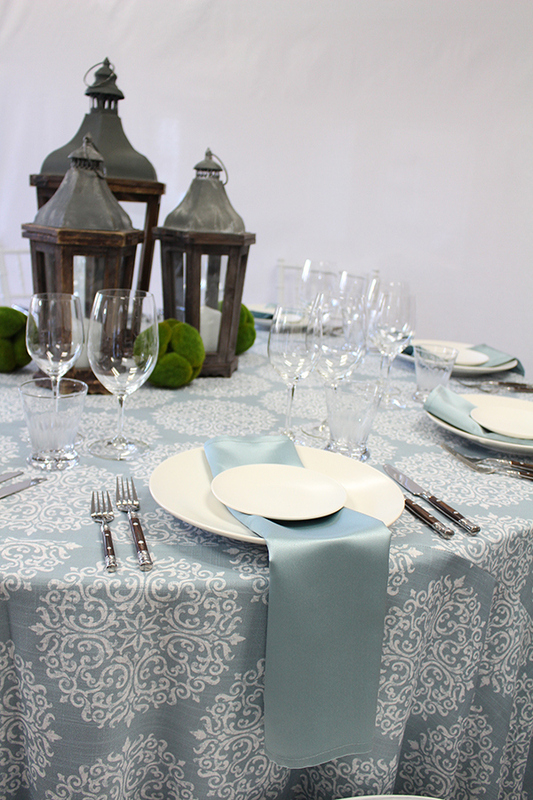 We often get asked why it is that we focus solely on specialty wedding linens, and to us, the answer is simple. 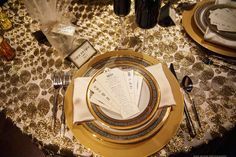 It’s not only our abiding love of textiles that sparked this love affair, but the fact that the perfect table linens are the key to a truly gorgeous event! 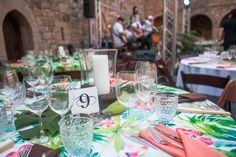 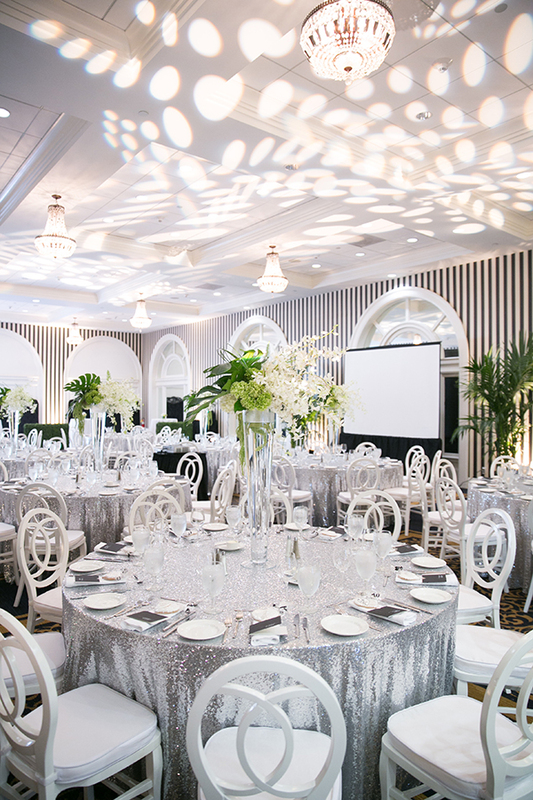 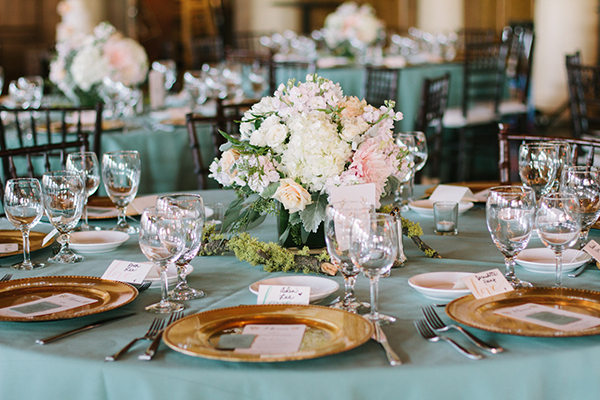 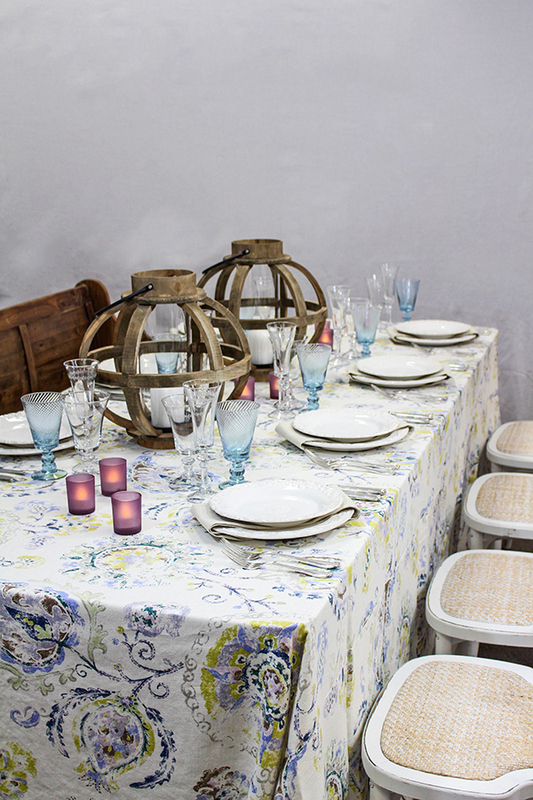 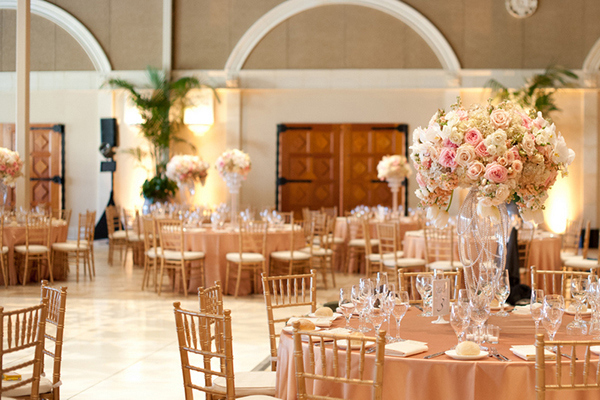 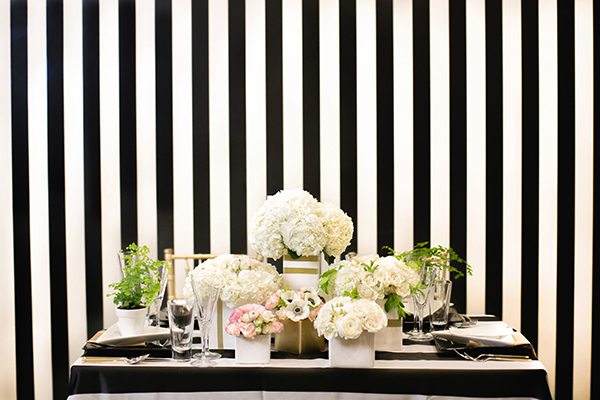 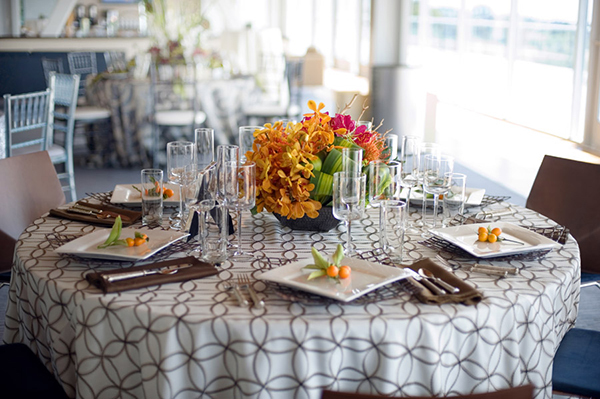 There are so many details that have to come together to create a striking design – from the surroundings, to the color story, to the decor and rentals that grace the tables – but the unifying element falls to the perfect linen choice. 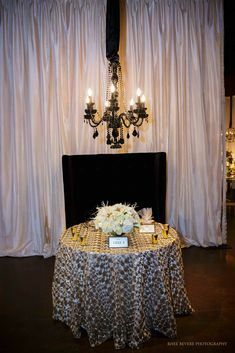 Dressed tables occupy the most visual real estate in the reception area, giving linens the ability to personalize and transform a space. 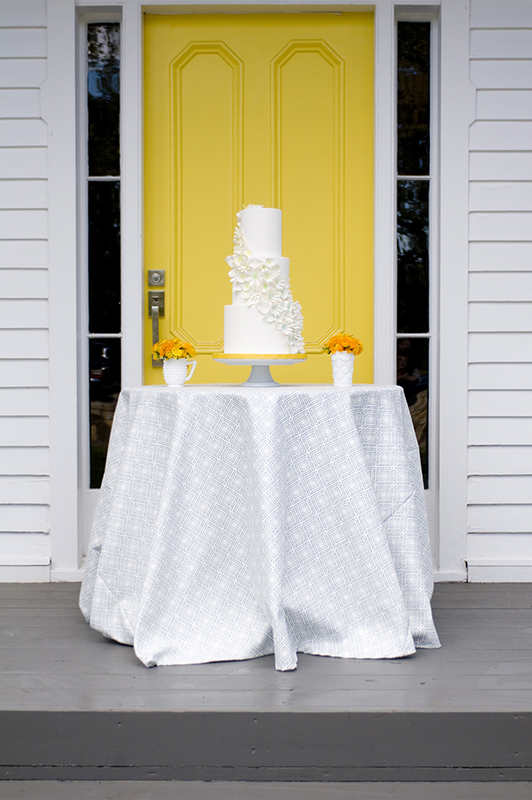 Bright colors or a pop of pattern can instantly dress up a simple hall, while luxuriously textured tablecloths look perfectly at home in a grander setting. 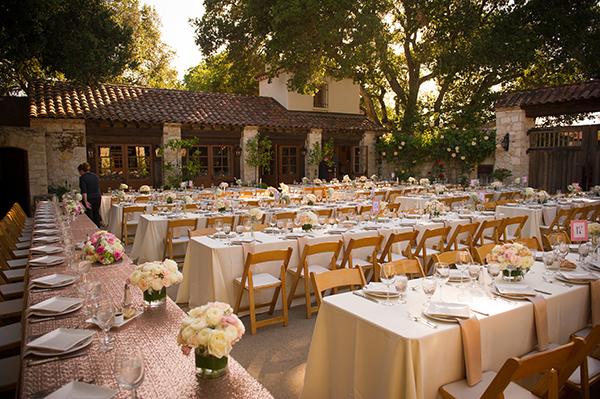 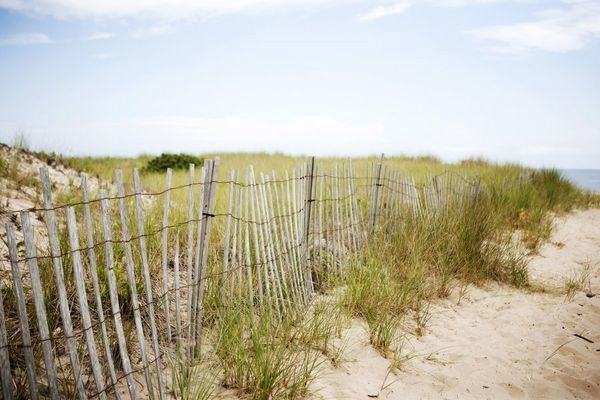 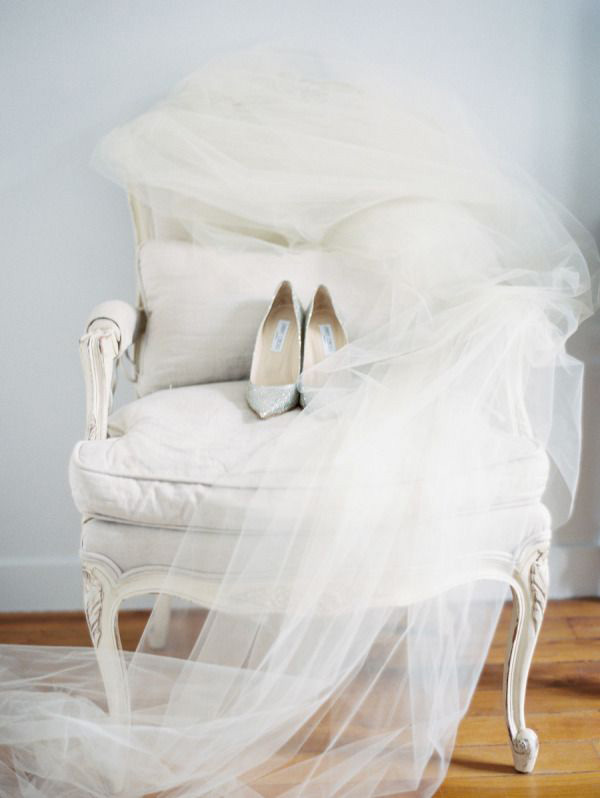 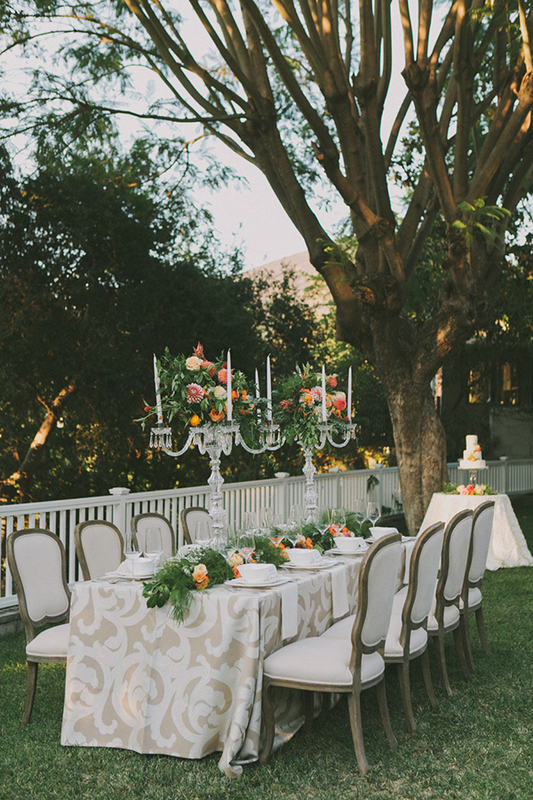 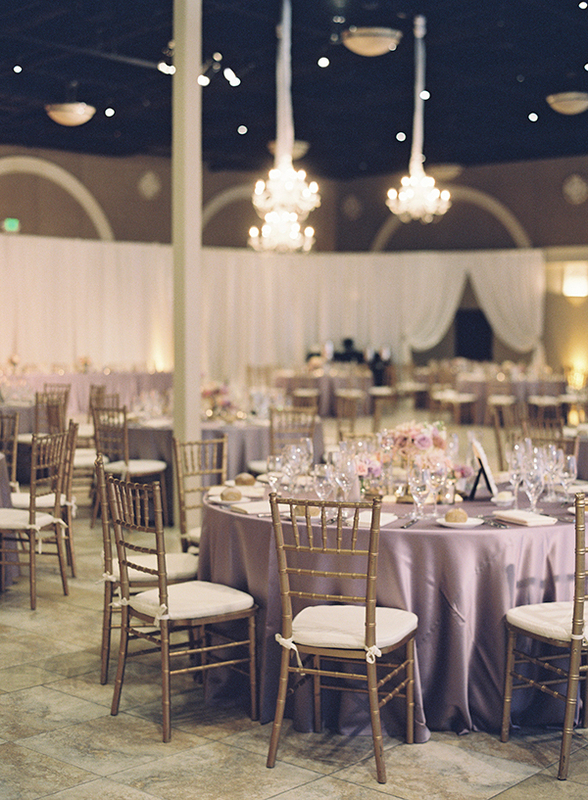 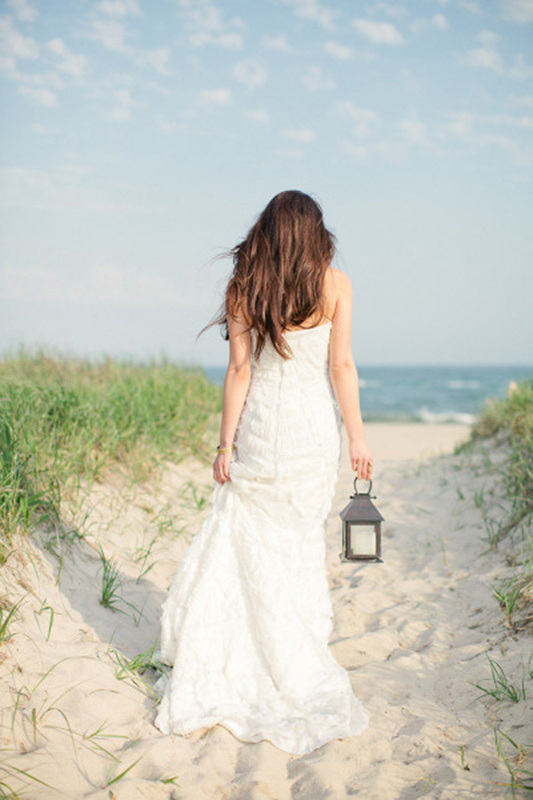 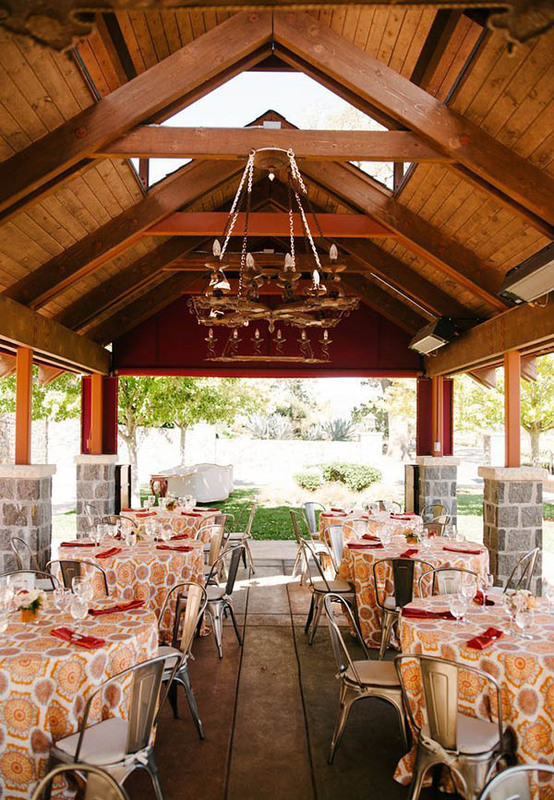 When we work with clients on selecting wedding linens, we always begin with their venue. 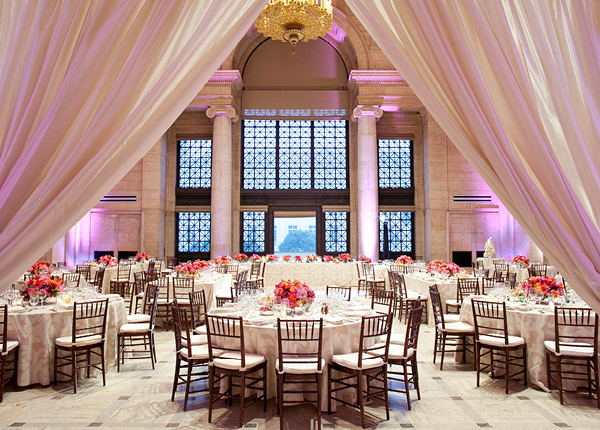 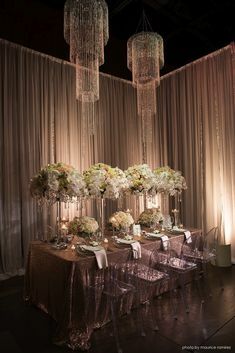 Whether they are getting married in a ballroom, a wine cellar, or a barn, we start with the ambient colors in the space. 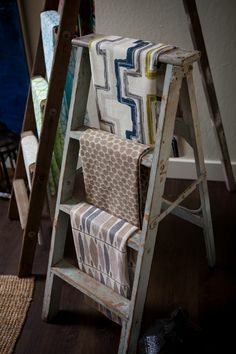 Working within an existing color palette, like a prominent carpet pattern or wall treatment, is one of the best ways to create a harmonious design that complements the space. 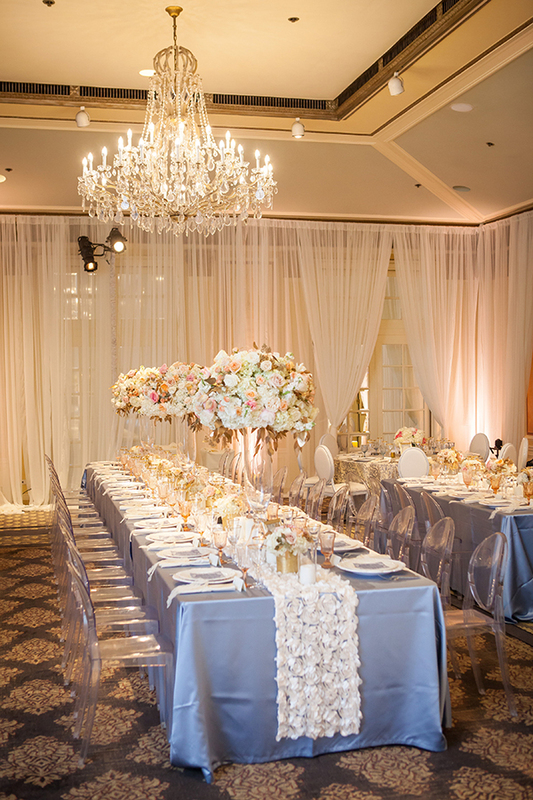 We recently collaborated on the San Francisco/Bay Area NACE Gala in San Francisco’s historic Sir Francis Drake Hotel – the icy blue and ivory linens with touches of blush and gold in the floral arrangements made a beautiful match with the Ballroom’s cream on blue carpeting. 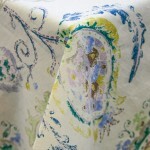 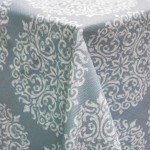 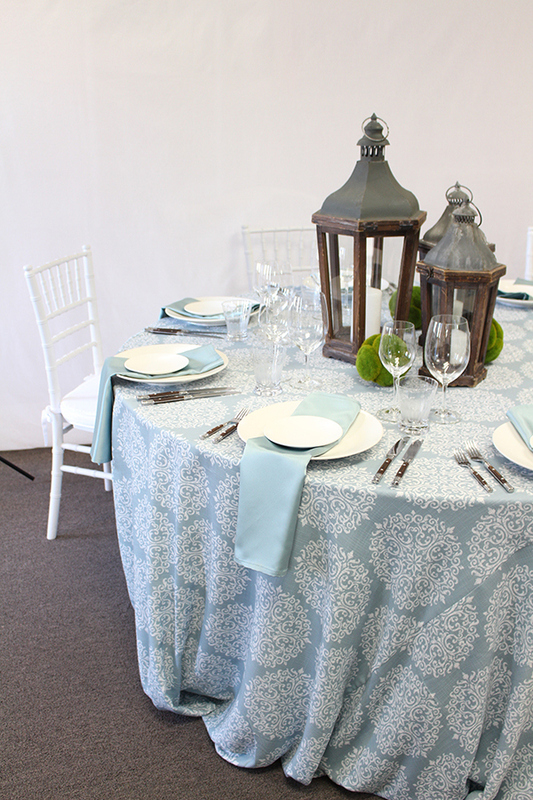 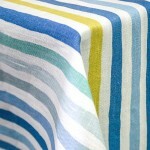 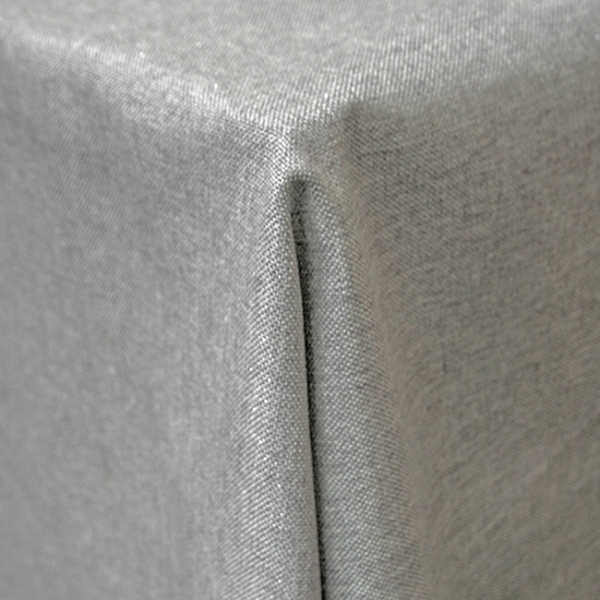 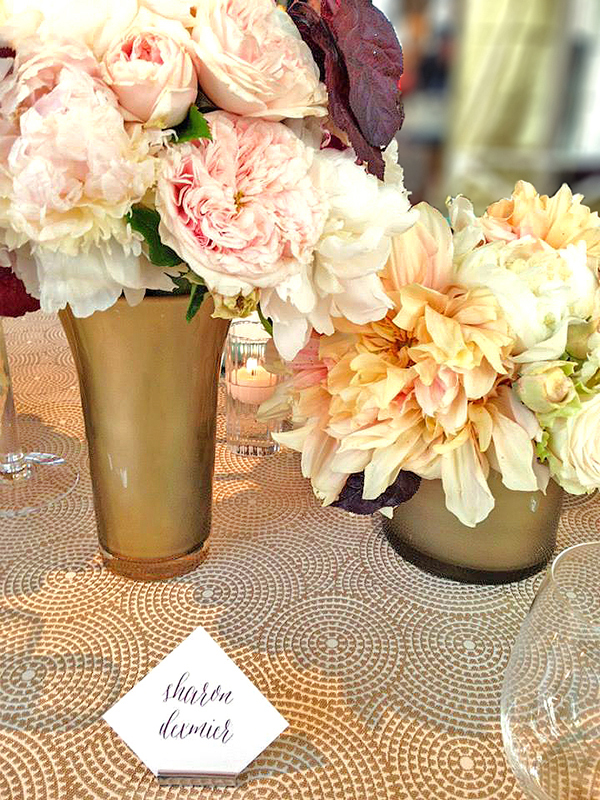 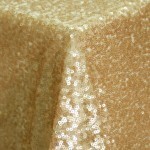 Adding colored linens to guest tables is the easiest – and most cost effective! 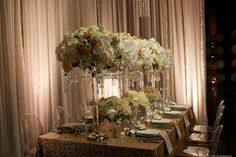 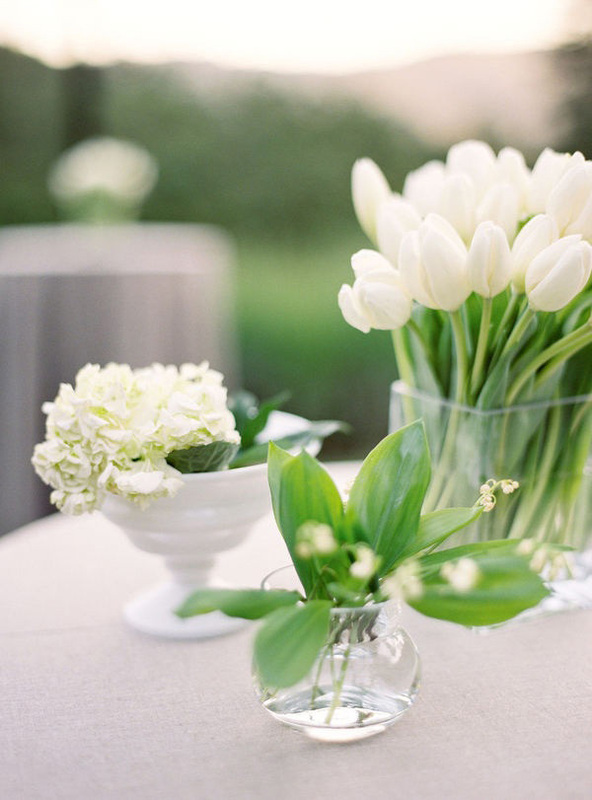 – way to dress up a simple space and leave guests wowed. 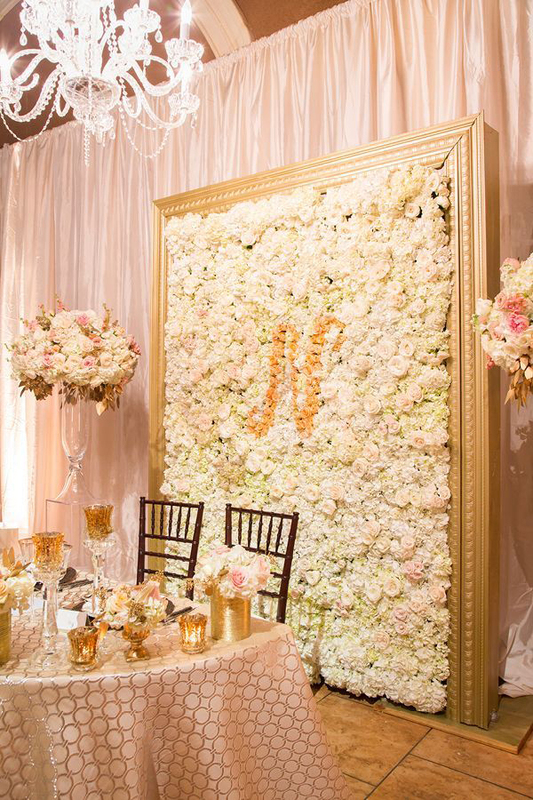 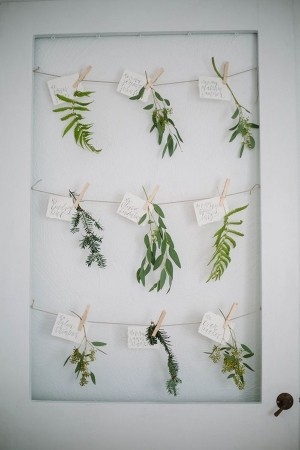 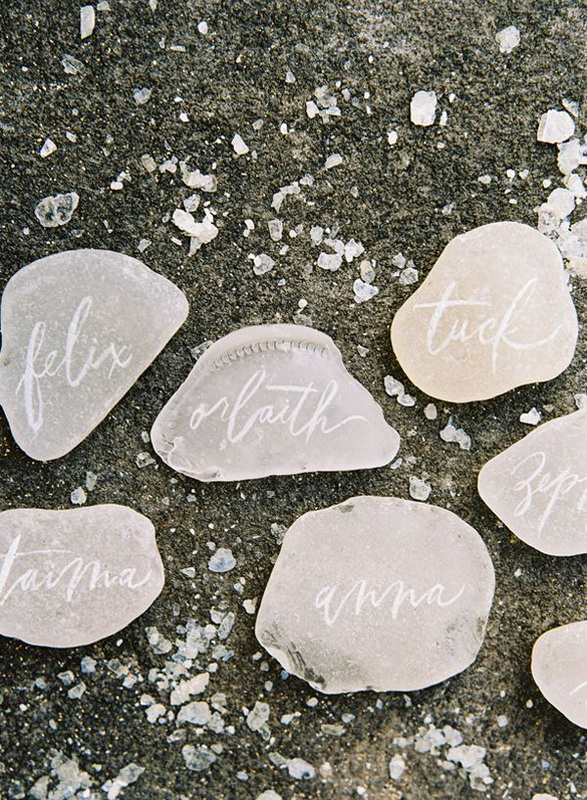 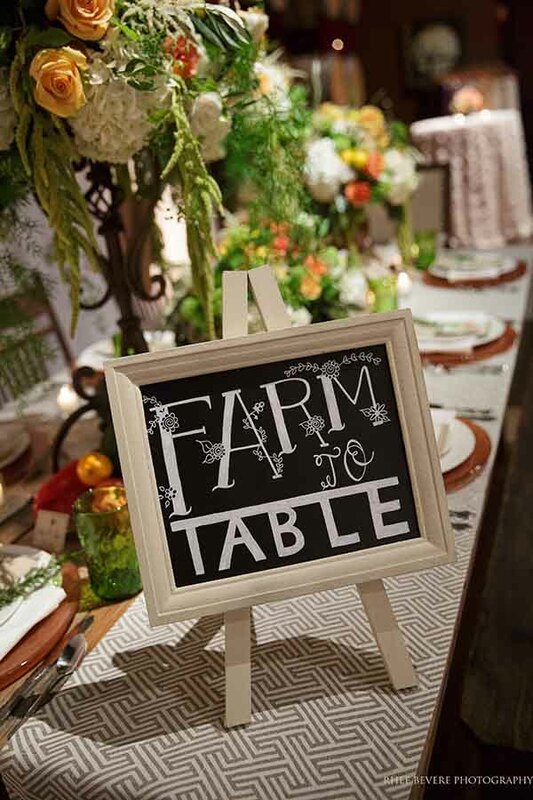 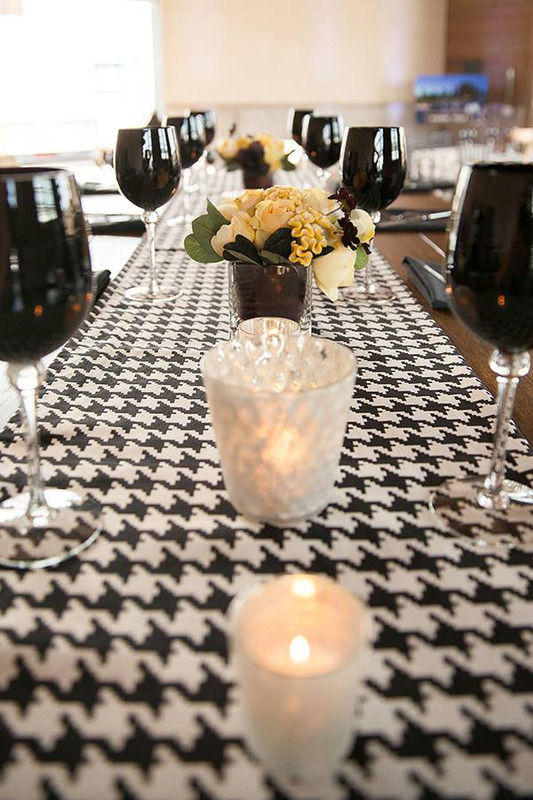 Of course, we love it when our couples like to get creative with their tables as well! 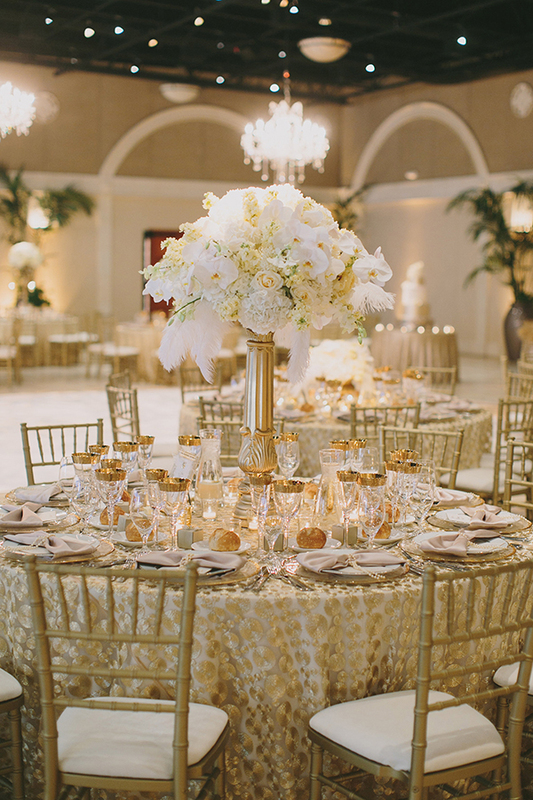 Patterned linens, vibrant runners, or the sparkle of sequins help tables feel full with smaller centerpieces or minimal decor. 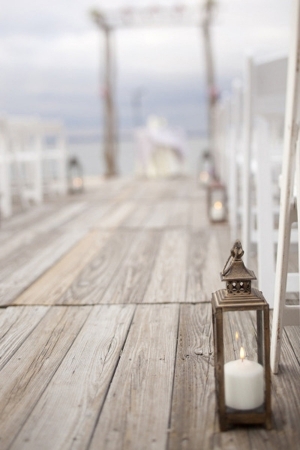 We have all sorts of tricks when it comes to working with in a tight budget, of course! 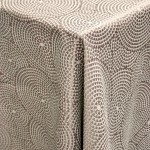 We often meet with couples who fell in love with one of our specialty linens and would love to incorporate it in their design. 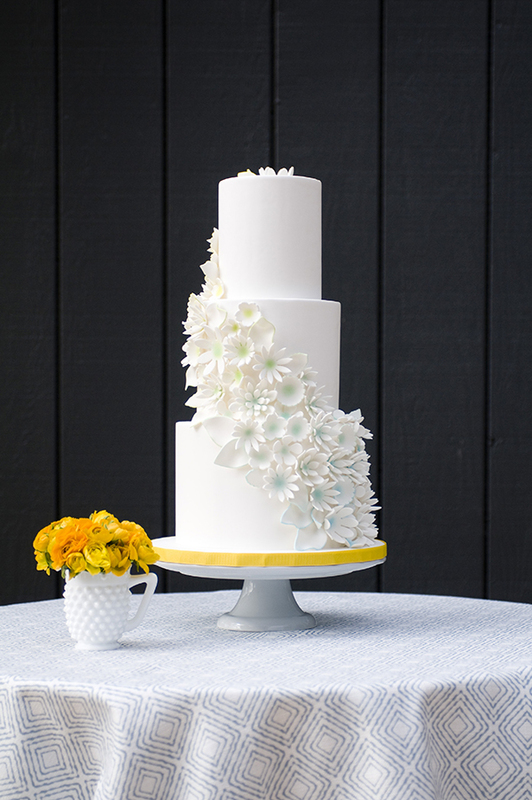 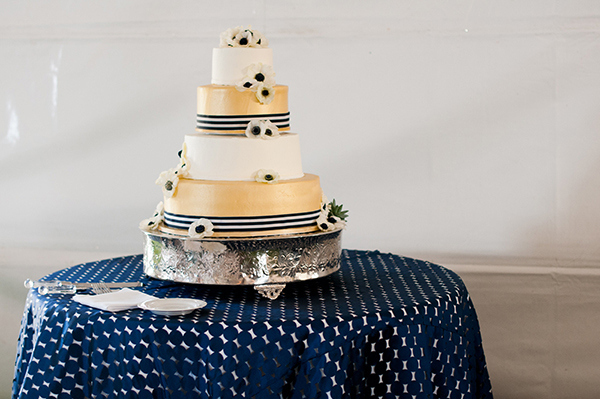 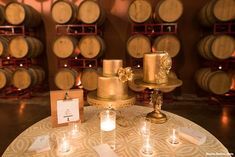 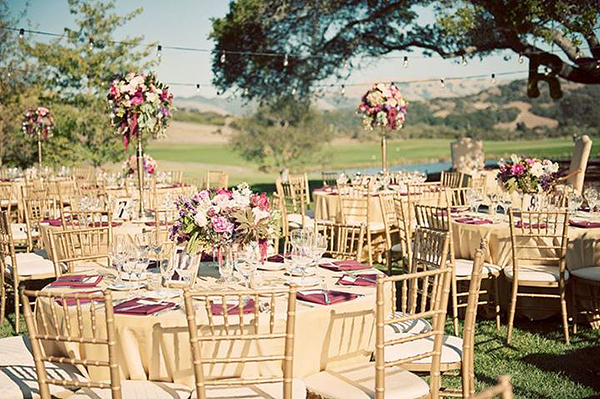 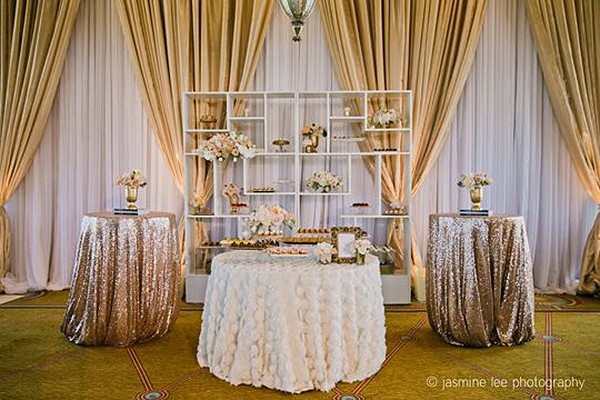 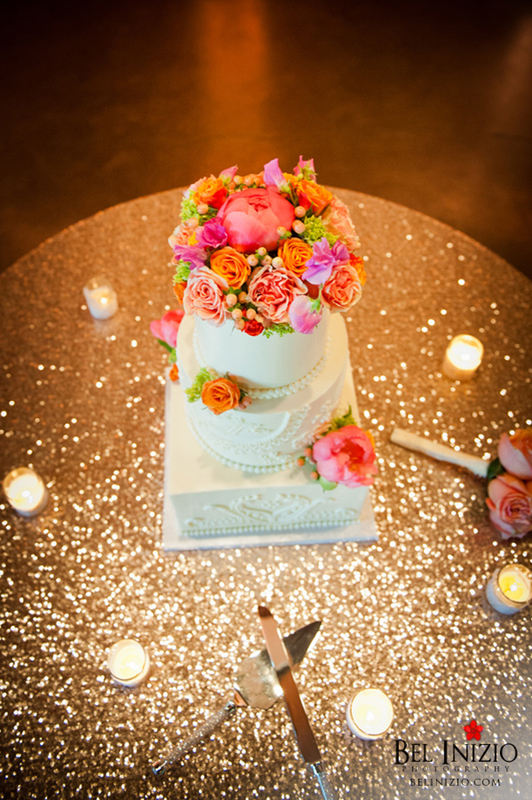 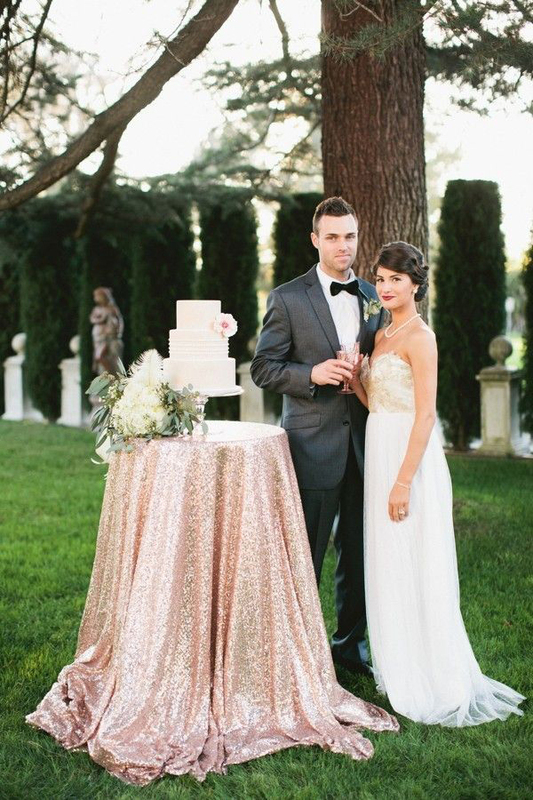 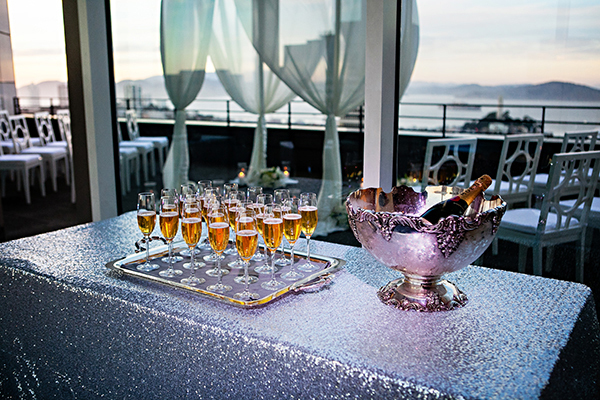 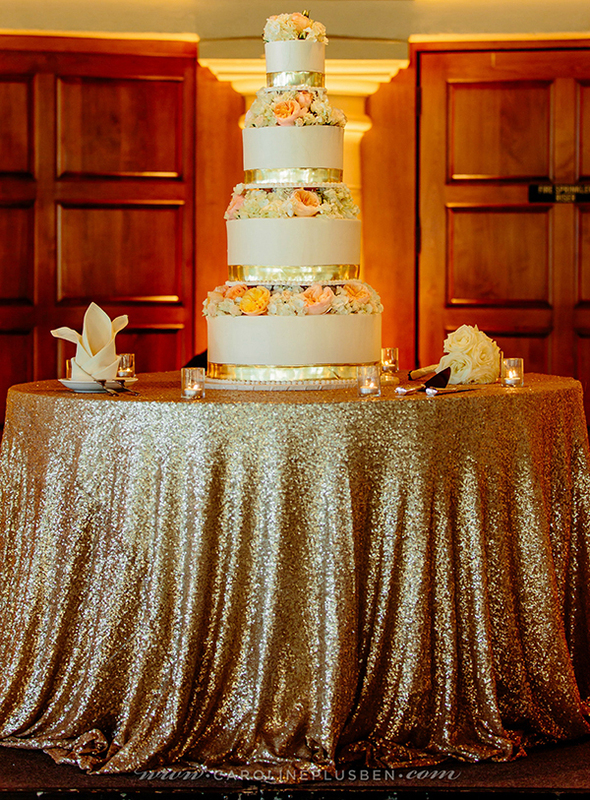 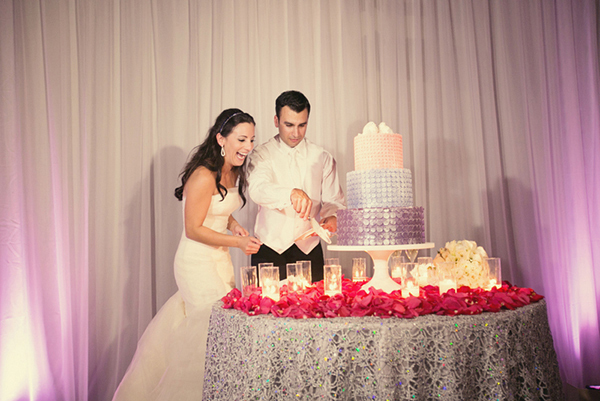 Since all eyes are on the Head Table or Sweetheart Table, as well as the cake, those are the best places to start! 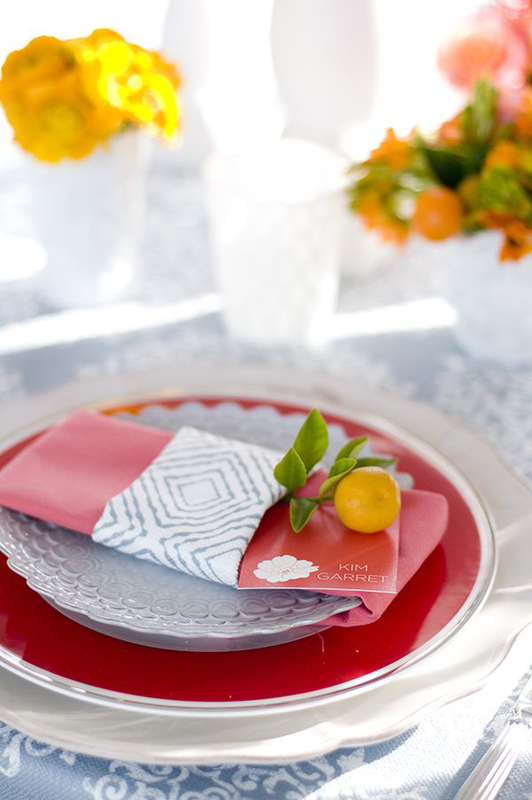 Once the eye-catching linen has been placed where it will be seen – and photographed – the most, we can select accent linens in complementary colors and styles to place on Guest Tables. 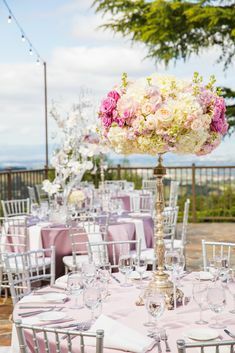 Adding a fabulous linen to accent tables like the Guest Book or throughout the Cocktail Area is another great cost-effective way to create a gorgeous, cohesive design.